That’s right, you get not one, but two episodes of Dudes Counting this week. If you didn’t hear our first episode I’ll explain the counting joke. We started a podcast with ambiguous goals and no clear idea of what the content should be with three people who have never done a podcast before. So we spent the first half of the podcast counting the number of teams in our fantasy football league. Since our vibe is dudes chatting, much like the Substandard Prime podcast, our podcast was dubbed Dudes Counting by our “fans.” And we all know that the funniest jokes are the ones you have to explain. Wow. Glad that’s over. Anyway, we promised you a couple things on Show Notes this week. If you haven’t heard the episode yet, you can find it here, although if you’re listening on a mobile phone, I’d recommend downloading the Soundcloud app. Thomas talked about a book that was written about being pantsdrunk, which is a special Finnish word for getting drunk at home in your underwear. #lifegoals, amiright? Here’s the link to the Amazon page for that book. He also mentioned a great article in The Spectator about Myers-Briggs. Here’s the link for that. Please follow Ryan and the Swede on Twitter and leave me out of all this. Special thanks to Nick Chew for the logo, Timothy Lewis for the opening theme and the fake Casper ad, and everyone that we’re forgetting. We never thought anyone would listen to this garbage podcast, and we’re still a little confused that people do. As long as you keep listening we will keep recording. Longer probably, to be honest. Oh, and we have to thank Bill Kristol for welcoming us into The Weekly Standard family*. I mean, he hasn’t yet, but we fully expect him to sign us in the near future. 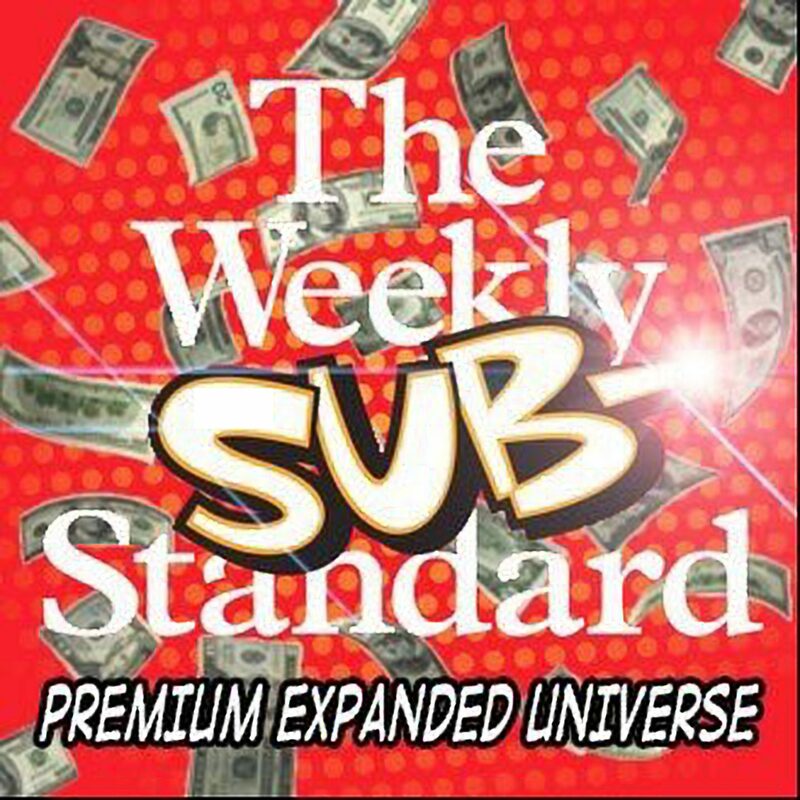 * We are legally obligated to state that we are in no way affiliated with the Weekly Standard, The Weekly Substandard, The Anschutz Corporation, or any of their subsidiaries including the Clarity media group, or Media DC, the parent corporation of The Weekly Standard. When are you getting an RSS feed? As soon as the Swede adds one. He’s currently either getting pantsdrunk or is working his fourth jar of pickled herring — they sell pickled herring in jars, right? Anyway, we’re aware that we need to get an RSS feed going to get on iTunes. We just need to get the Swede to boot up his Electrolux computer and fix this. I don’t even care about iTunes, my third-party podcast-reading software uses straight RSS feeds.